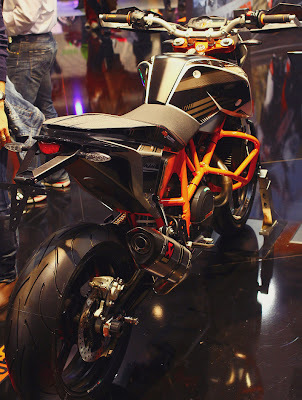 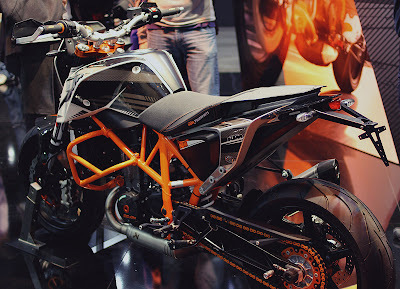 Luusama Motorcycle And Helmet Blog News: 2012 KTM 690 Duke -Ready to have Fun!? The KTM 690 Duke is getting some new developments for the 2012 model year, among which are changes which should make it even more powerful. In a pre-production first ride, MCN says the world's most powerful single-cylinder bike will be more refined and powerful next year as KTM hopes to make its mid-range sportsbike lineup more appealing. 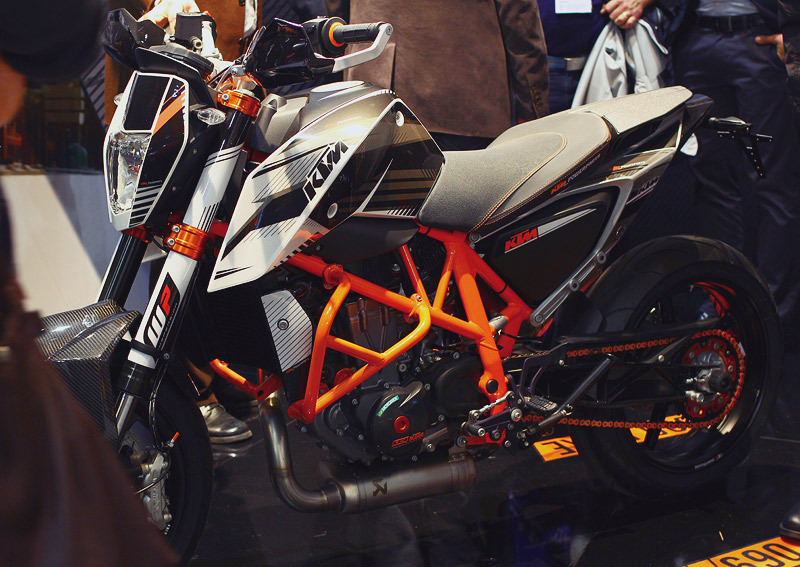 The 2012 KTM 690 Duke will have a twin-spark cylinder head, ride-by-wire throttle and optional Bosch ABS brakes, all on about 70 hp. Still aiming at a younger audience, the 690 Duke will also have a price of about £6,000 - around €6,800 at the current exchange rate.